By Jo Kopelke of Camping Queensland. 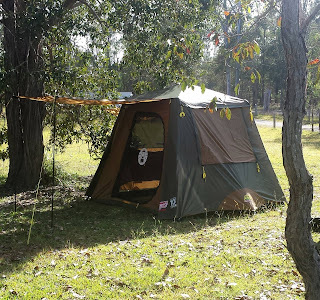 I took my new COLEMAN GOLD SERIES INSTANT UP for its maiden journey on the weekend. 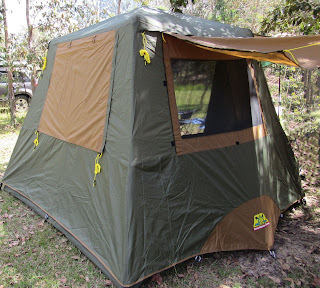 My new Coleman Gold Instant Up 4 tent in the wild. Very impressed with the new heavy duty polyoxford PVC flooring. Feels nice underfoot. There was a fair amount of dew around this morning. I was expecting it to need some sun. Alas, not so much as drop of condensation inside or moisture underneath at pack up. 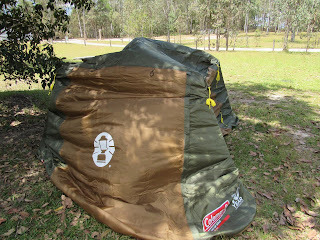 I usually find drying off tents the most time consuming part of packing up after camping. This was a breeze this morning. With all the new features, my very favourite is the thicker and heavier fabric used in the fly. It was so much darker inside. So much so, I slept till 7.30am. I could get used to that. The instructions say it requires 2 people to erect. I disagree. I always put my old model up by myself. This model is fundamentally same design. 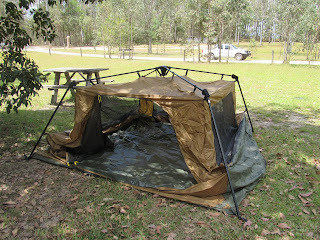 But in saying that, the thicker, heavier fly fabric makes it a little harder to use the wind to pull the fly over the top. The Instant Ups are quite tall and dragging a fly over the peak is a chore if you don’t have someone to hold the far side in place. I struggled with this for about 3 mins. Walked around it twice, then decided to drop the 4 corners back down and put the fly on whilst it was down. I then erected it again and it was easy as. Done. 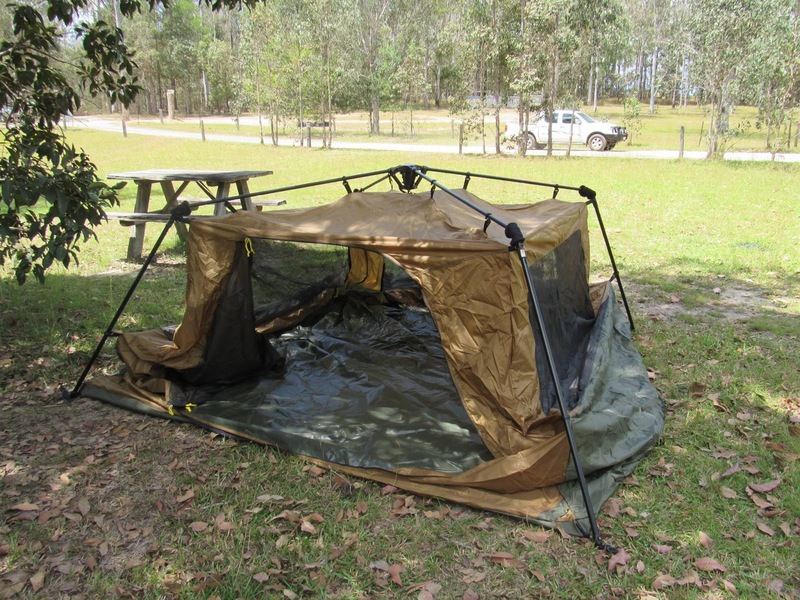 You can easily have this tent up in 2 mins by yourself, if you remember this tip. 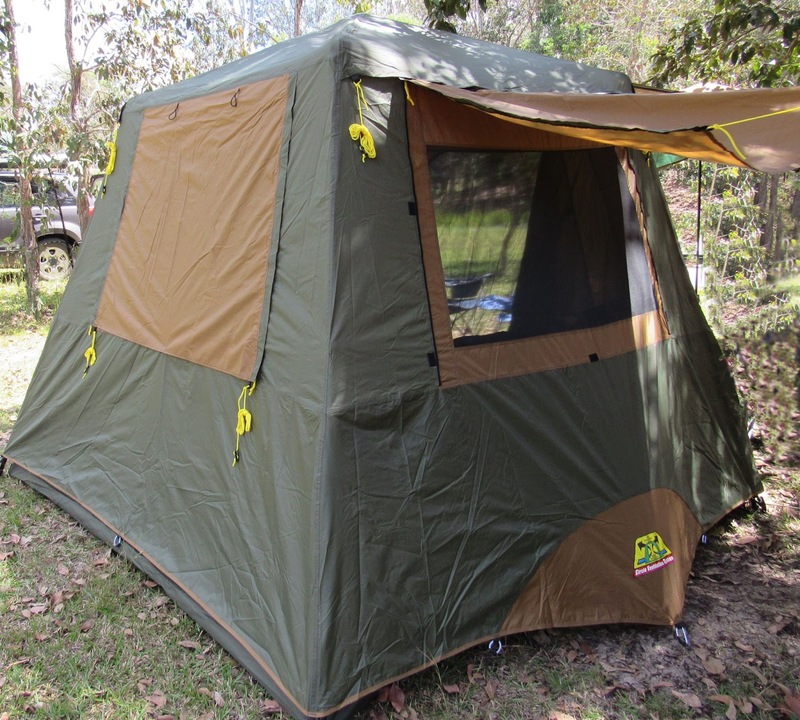 The Coleman Gold Instant Up 4 tent inner fully pitched, hold this space! It goes down again in a moment. Lowering the framing on the Coleman instant up 4 gold tent makes it easier to get the fly over on your own. 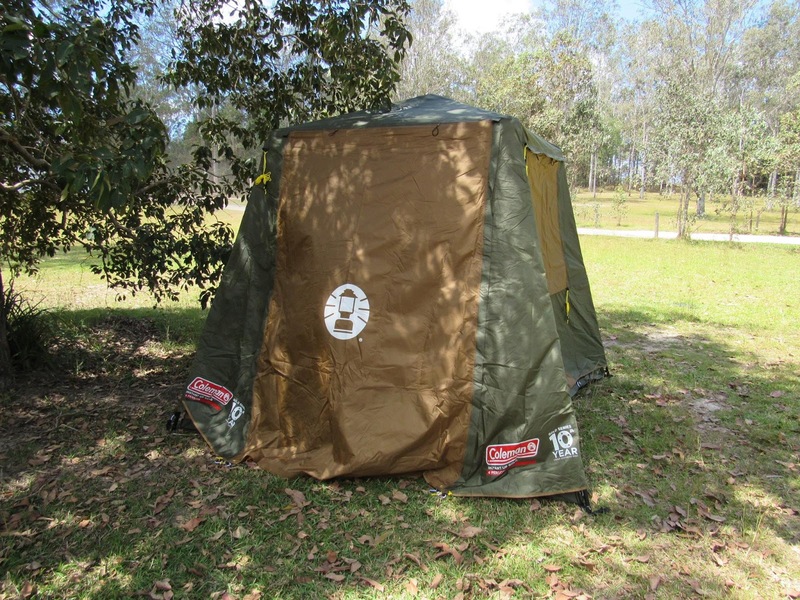 The only complaint I ever had with the standard Coleman Instant Up 4 model was no lower level ventilation. 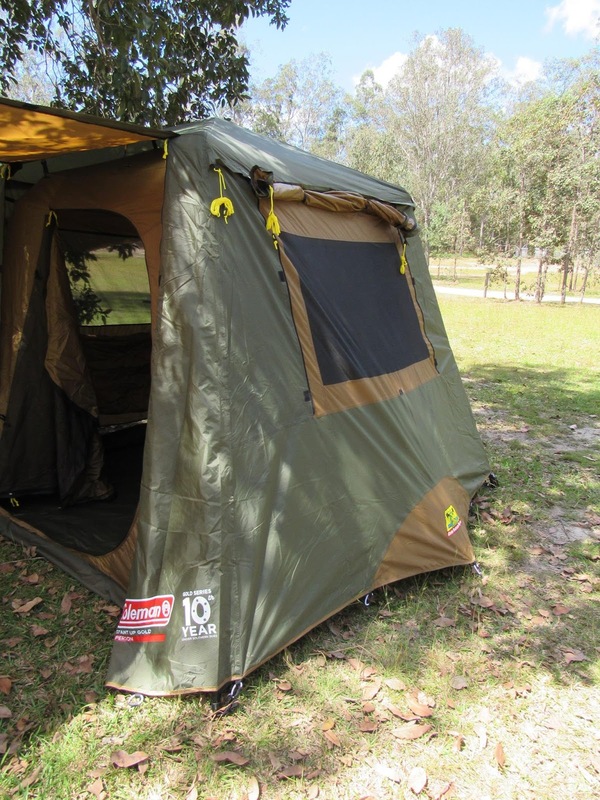 The new model has 2 extra air flows, plus the front door. Perfect for those sultry summer nights when every bit of air is precious. The carry bag on the Coleman Gold Instant Up 4 tent is heavy duty, and very large making pack up easy. The flys now been thrown over my instant gold 4 tent, now just need to peg it out! Pegged out! Just about time to relax, just the guy ropes to go. The other bonus is the heavy duty carry bag. It is huge. I was able to lay the fly on the ground, place the inner on top of that. Roll it all up and throw it in the bag. I didn't even have to push little bits into corners; whilst attempting to pull the zipper. 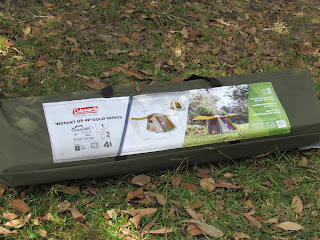 Nothing worse than taking longer to put a tent back in a bag, then it took to erect and pull down combined. 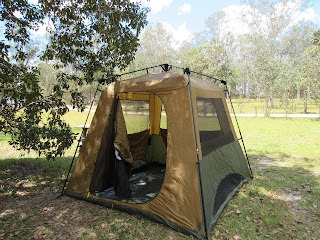 I chose the Coleman Gold Series Instant Up 4 but they are also available in 6 person & 10 person.